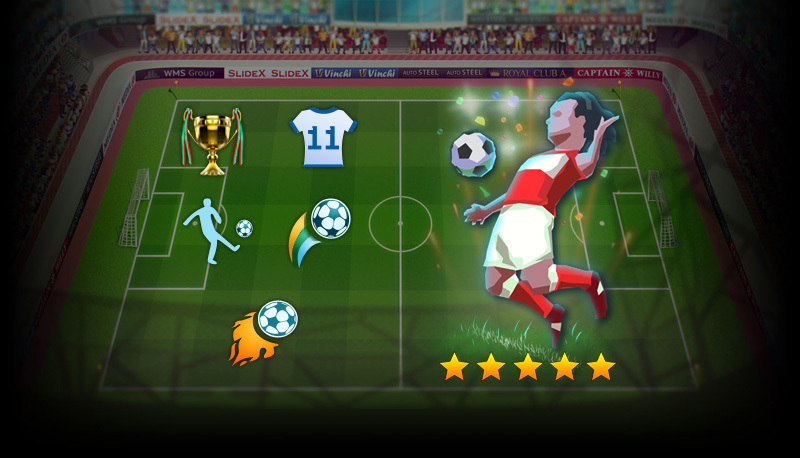 Post news Report RSS	Update 04 of Football Tactics released! We call this update “Creativity” because it gives you the tools for editing and creating the leagues, teams, kits and logotypes. We call this update "Creativity" because it gives you the tools for editing and creating the leagues, teams, kits, and logotypes. We even added two new colors and bunch of new logotype elements. You will easily be able to share your leagues with other players through Steam Workshop. Read this short guide to know how to edit the leagues. When creating new things isn't for you, check out the leagues, other players uploaded to Steam Workshop. Subscribe to the league, start a new campaign, open modifications screen and select the league you have subscribed. For those, who like collecting things, we added support of Trading cards. Collect cards, craft badges, earn XP points, get backgrounds and smiles for your Steam profile. More information about Trading cards you can read there. We wanted the badges, backgrounds and smiles were as much "football-y" as possible. So if you want your Steam profile to show others that you love football, you'd be able to do this with the badge and backgrounds. Now the lowest time footballers can be injured is 1 day (earlier it was 2 weeks). While he is injured, his stamina is 20% (earlier it was 10%). Now in windowed mode you can play the simulation and watching mode in the background.